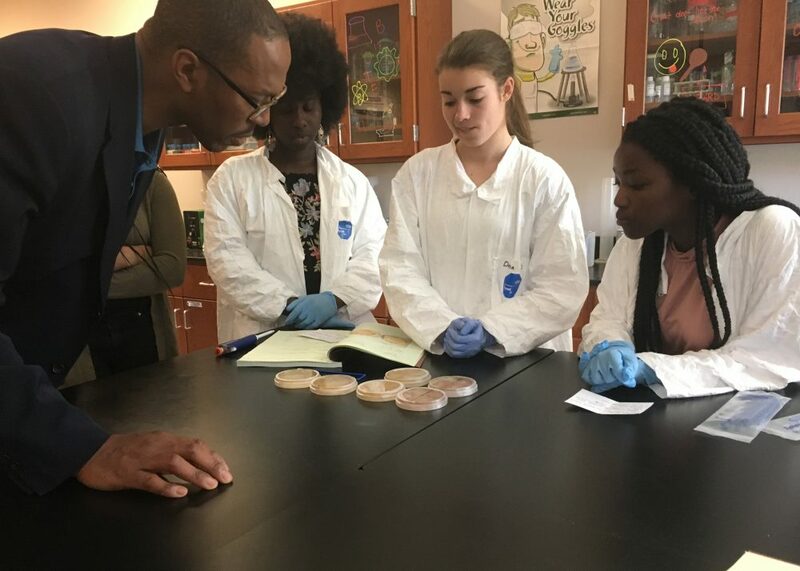 Massachusetts Life Sciences President and CEO Travis McCready visits with Worcester students participating in the MLSC high school apprenticeship program (Courtesy of the Massachusetts Life Sciences Center). A key part of Massachusetts' biotech industry is the state's financial investment in life sciences. Back in 2008, Gov. Deval Patrick signed off on a 10-year, $1 billion initiative to bolster the life sciences industry in Massachusetts. Ten years later, the state Legislature is expected to pass a measure that would invest another $500 million in life science over the next five years. Tasked with overseeing this funding is the Massachusetts Life Sciences Center, a quasi-public investment agency dedicated to supporting life sciences in the state. Travis McCready, president and CEO of the Massachusetts Life Sciences Center. The center tweets at @MALifeSciences. This segment aired on June 4, 2018.